Despite having what I can only describe as the perfect costume, this year I ended up with no appropriate occasion to wear it with Halloween falling mid-week and all. It'd too bad really, for everybody else's benefit. Instead, on Halloween weekend Clare and I decided to get into a little mischief. Fremont Mischief Distillery, that is. While the distillery is two miles from the Seattle headquarters of WestToast, it was only at a recent excursion to Nick's off Market that I first tried some Mischief booze and was hooked. A quick aside...Nick's off Market has fantastic happy hour and daily specials. Most notably for our purposes today, Whiskey Wednesday brings half-priced whiskey all night long, and, on Tuesdays you can enjoy $2 off local distilleries. Check it out. Located in Seattle's funky Fremont neighborhood, Mischief has a solid foundation in the budding Washington craft distillery market. 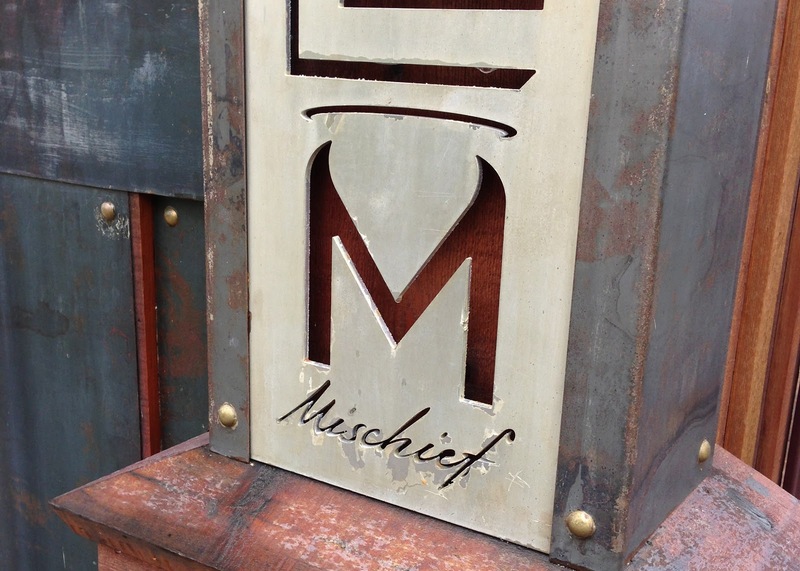 Founded by friends Mike Sherlock and Erik Freeman after an entertaining costume party, Mischief is dedicated to delivering great spirits through small batches and the highest quality ingredients. We use organic and heirloom grains...even though they have less starch and are harder to use because yields are so low. We feel these grains make Mischief spirits more flavorful, and give them a softer finish. We could buy production grown, non-organic grains; they're less expensive, the yield is better. It certainly would be easier for us. But, by taking these extra measures and extra costs, we feel it makes a difference you will notice and appreciate. It's worth it to us because we want to make the very finest for all who choose our spirits. I definitely noticed the difference. 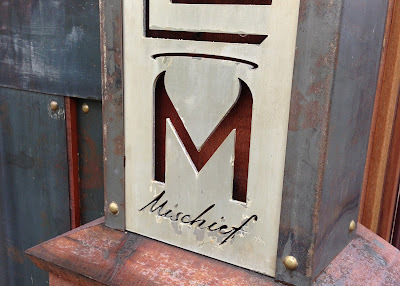 Mischief's tasting room is located at 132 N Canal Street in Seattle and is open daily from 11 AM - 5 PM, except Sunday when they close at 4 PM. As an added bonus, there is no tasting fee. Mischief Vodka: Made with winter wheat in the classic russian style, this vodka is only filtered once and as a result, retains a nice flavor. We found the vodka to have some nice vanilla notes with an inherent sweetness up front. The vodka can easily stand on it's own...no need to mix. Mischief Gin: Using the Mischief Vodka as a base, this refreshing gin utilizes 13 fresh and local botanicals. Light on the juniper that can turn off some spirit drinkers, this gin had notes of licorice and lemon peel. It's a fun drink that is a sipping gin, Clare even suggested drizzling it on some vanilla ice cream. Mischief Whiskey: Distilled in Canada, the Mischief Whiskey is an eight-year rye aged in bourbon barrels. Warm, buttery, and sweet, Mischief will please whiskey drinkers from every walk of life. John Jacob: My favorite of the day, the John Jacob is a 100% rye grain whiskey made in the Seattle distillery and aged in charred oak. A bit boozy on the nose, this whiskey was also sweet and smooth, with some outstanding caramel notes. I walked away with a bottle and enjoyed some on the rocks shortly thereafter. Both Clare and I enjoyed all four of these spirits; Mischief definitely warrants a trip back to the tasting room when I have company in town. Next time you're in a bar and see Mischief on the shelf, forget those well spirits and go local. Everyone needs some Mischief in their life. They Make Wine There? The Aloha State! It's a beer...it's a dessert...a beersert?